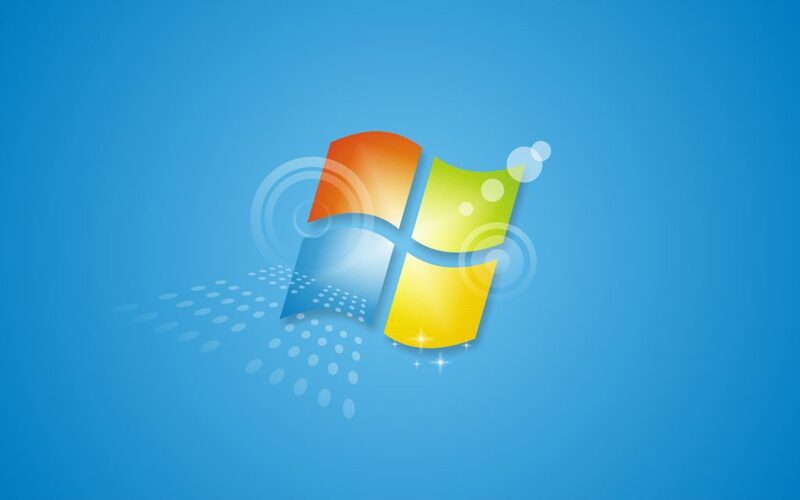 Earlier this week, Microsoft made the announcement that Windows 7 would finally be reaching end-of-life; meaning that from January 14th 2020, it will no longer receive free security updates from Microsoft. When Windows XP hit end-of-life in 2014, the floodgates opened for cyber criminals who could now develop malware for the operating system without fear of vulnerabilities being patched, and the same is expected to occur for Windows 7. So, with Windows 7 in use by an estimated 70% of businesses worldwide, what does this mean for them? When Windows XP reached the end of its own support cycle, it affected 40% of the world’s computers, leaving them vulnerable to cyber attacks. Despite a sharp increase in malware and several high-profile incidents such as the WannaCry attacks of 2017, it is estimated that up to 70 million PCs are still using the outdated (and frankly dangerous) operating system. One of the main reasons why so many Windows XP machines are still out in the wild is due to the costs that upgrading can incur upon businesses. Upgrading a large number of PCs to a new operating system can be expensive, and sometimes the hardware is too old and must be replaced altogether. Furthermore, a lot of businesses use legacy software and programs that are quite specific to their industry and may not be supported on newer operating systems such as Windows 10. Small and medium sized businesses in particular can find it hard to find the time and budget to upgrade from obsolete operating systems. So what will happen when Windows 7 reaches the end? Even after January 14th, 2020, you will still be able to use Windows 7. However, any security vulnerabilities or bugs won’t be fixed by Microsoft, leaving you open to cyber criminals who will be hoping to take advantage of businesses who are slow to make the change. Without regular patches and updates, users of Windows 7 will essentially be at the mercy of hackers. For most businesses, we would advise starting to plan straight away and aim to update to Windows 10 well in advance of the deadline. However, for those who can’t upgrade due to use of legacy software or other business reasons, Microsoft will be offering an extended support period – for a fee. Until 2023, companies will be able to pay a monthly price (per Windows 7 PC) to Microsoft in order to continue to receive security updates. Microsoft haven’t announced the exact cost yet, but have said that it will increase in cost each year, and will end in 2023. So, we see extended support as a less-than-ideal option, but for workstations that cannot be moved off Windows 7 for the moment, it’s definitely a better choice than leaving them vulnerable. How do I prepare to upgrade my Windows 7 machines? It is important to start planning now and get an accurate picture of how much work will be needed. Start by identifying how many PCs use Windows 7, and work out how many PCs can be upgraded and which ones will need to be replaced altogether. Next you will need to identify any software and legacy systems that may need to run on Windows 7, and see if it possible to upgrade or find a way to run them on a newer operating system, or whether they can be replaced with a different product that can be ran on Windows 10. Lastly, if any machines DO need to stay on Windows 7, you will need to decide whether to pay for Microsoft’s extended support and implement security controls where possible to separate crucial systems from these Windows 7 PCs. Luckily, Microsoft have realised the difficulties that having to update operating systems can cause businesses, so Windows 10 has been developed with that in mind. Their new model is known as Windows-as-a-Service, and means Windows 10 will receive continuous content/feature updates in addition to security patches, meaning it will likely have a much longer life cycle than any previous operating system. What Windows 10 will look like in ten year’s time, we couldn’t tell you, but the ability for Windows 10 to be continually developed without disrupting businesses is something we are sure everyone will be grateful for.